Bryan Singer was fired on Monday as the director of Twentieth Century Fox’s long-gestating Queen biopic, Bohemian Rhapsody. This is definitely big news, but it is only the latest of many setbacks the movie has experienced since Sacha Baron Cohen was first signed on to play the legendary rocker all the way back in 2010. Since that time, there have been two different Freddies, three different directors (and few more who have passed through the rumor mill), two screenwriters, and one enduring feud between the band members and the movie’s original star. Here’s a look back at the long and winding road of Bohemian Rhapsody. September 2010: The Queen biopic made waves early on in its life cycle when Sacha Baron Cohen was cast as Freddie Mercury, and Frost/Nixon writer Peter Morgan was brought on to pen the script. May 2012: The Queen’s Stephen Frears is reported as a top candidate to direct this movie, about an entirely different Queen than the one starring Helen Mirren. July 2013: Cohen quits the film over reported “creative differences” with surviving members of Queen, who have approval over the script and director. The band reportedly wanted to make a “PG movie,” while Cohen was set on “a gritty R-rated tell-all” that focused on Mercury’s decadent lifestyle. It was also reported that Cohen had tried to bring directors like David Fincher and Tom Hooper onboard, but that the band did not approve. September 2013: Screenwriter Peter Morgan tells the BBC that the movie is likely dead after Cohen pulls out. But just days later the BBC tweets that the movie is still “very much alive” according to the team behind it. Makers of the Freddie Murcury biopic tell the BBC the film is "still very much alive" despite writer Peter Morgan's claims to the contrary. Later in the month, Queen drummer Roger Taylor tells Mojo his take on the “creative differences” with Cohen, saying the band dismissed him because they “felt Sacha probably wasn’t right in the end. We didn’t want it to be a joke. We want people to be moved.” Meanwhile, Daniel Radcliffe is rumored to be up for the role Mercury. 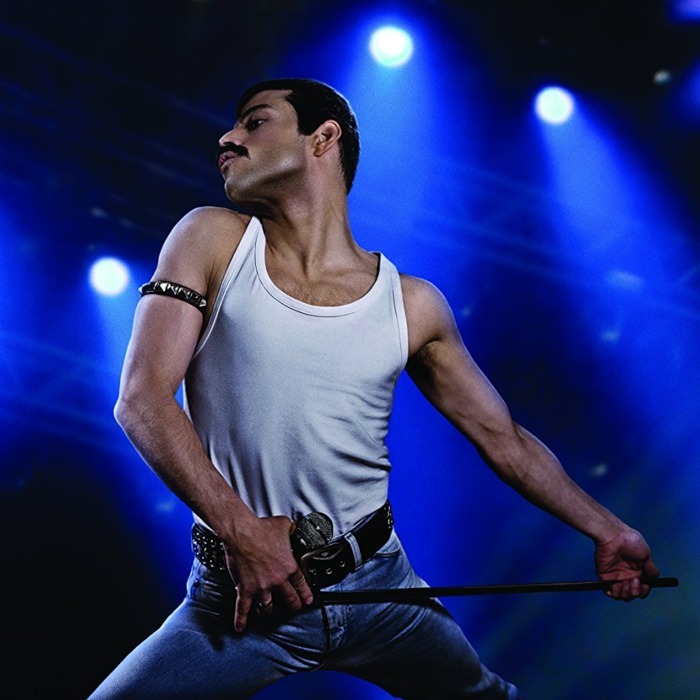 December 2013: Ben Whishaw replaces Cohen as Freddie Mercury, and Dexter Fletcher is brought on to direct. March 2014: Fletcher leaves the film. November 2015: Theory of Everything writer Anthony McCarten is brought on to do a new draft of Morgan’s original script, and Bohemian Rhapsody is reported as the working title. November 2016: Rami Malek is cast as Freddie Mercury, and Bryan Singer is brought on to direct. October 2017: Singer posts an Instagram photo of Malek performing as Mercury, presumably during better days on set. September 2017: An official first-look photo of Malek as Mercury is released, proving the movie is actually happening. A video is posted online shortly after of Malek re-creating the band’s legendary set at Live Aid in 1985. December 4, 2017: Twentieth Century Fox fires Singer from the film due to his “unreliability and unprofessionalism,” which reportedly included multiple instances of Singer failing to come to work, and even a confrontation between him and Malek about his behavior. The studio is expected to announce a replacement for Singer soon, who will oversee the remaining weeks of shooting as well as postproduction responsibilities.